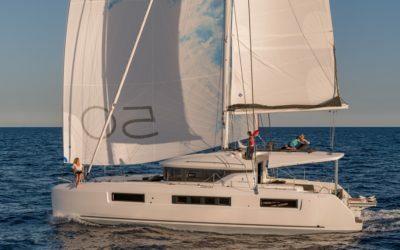 The Lagoon 450 F is designed by the prestigious VPLP group of naval architects in collaboration with Lagoon and the equally distinguished Nauta Design studio. 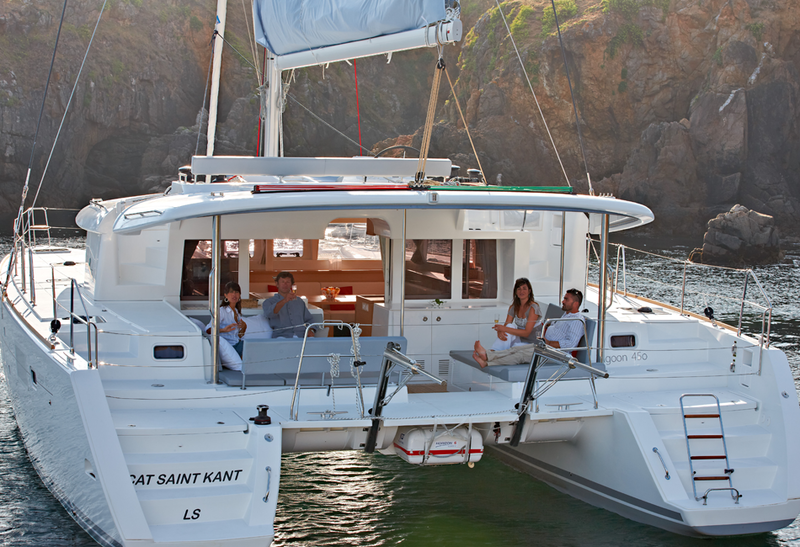 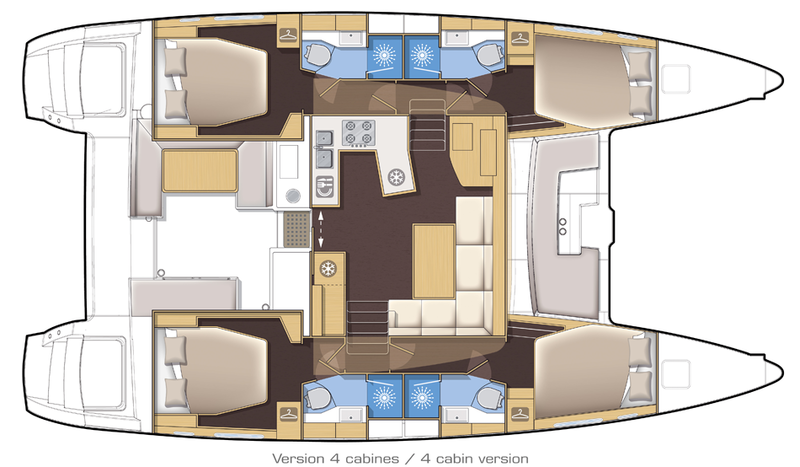 The result is a brilliant, seaworthy luxury catamaran in a FlyBridge version. 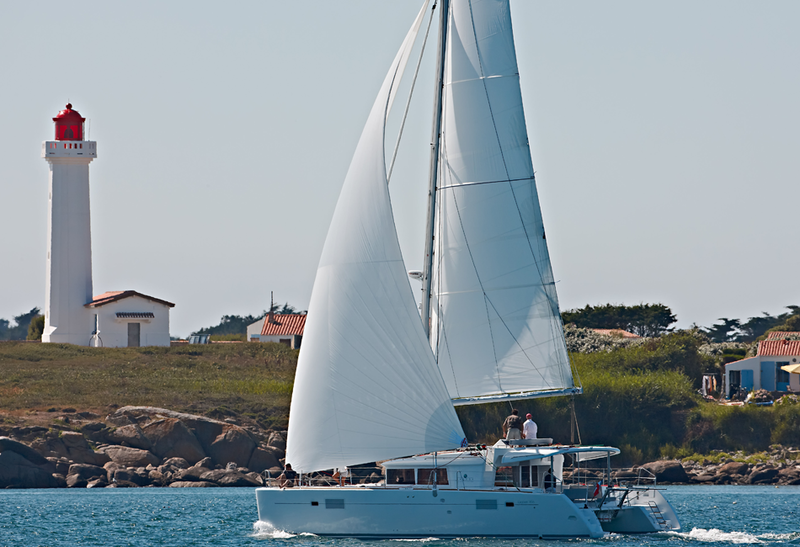 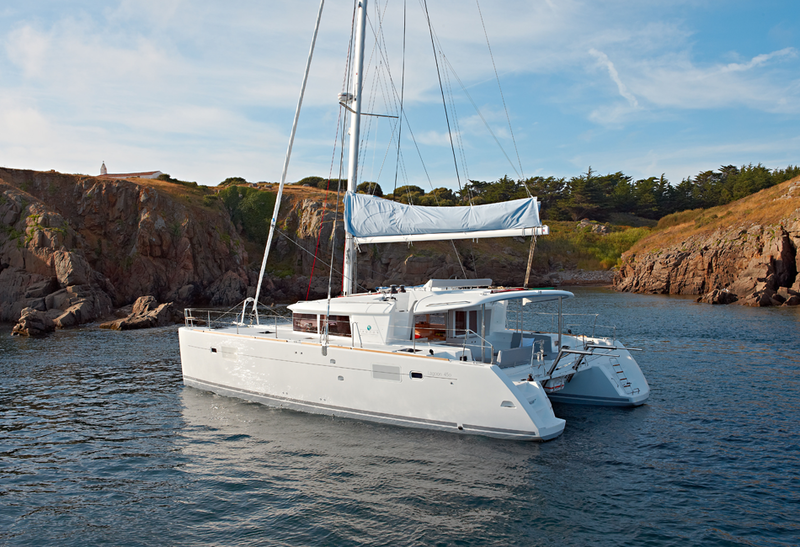 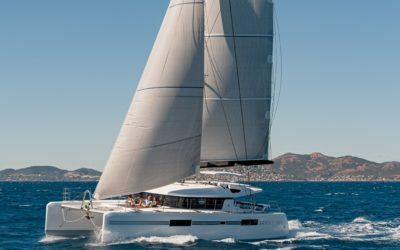 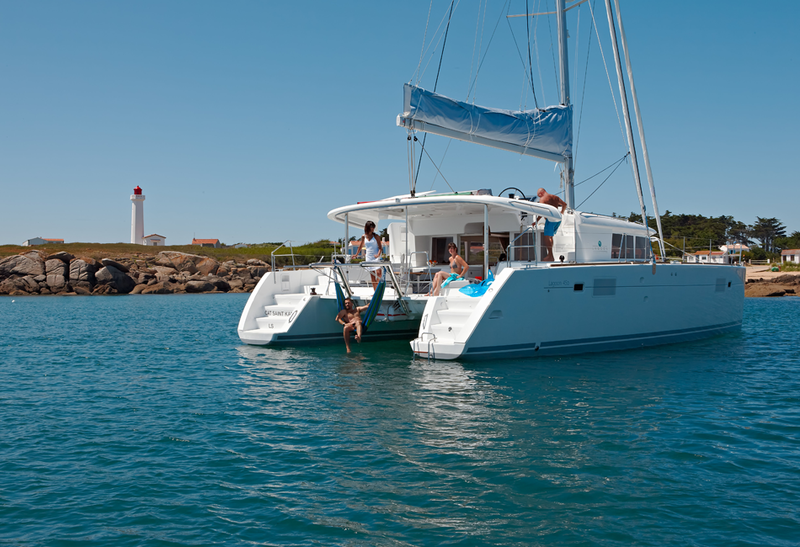 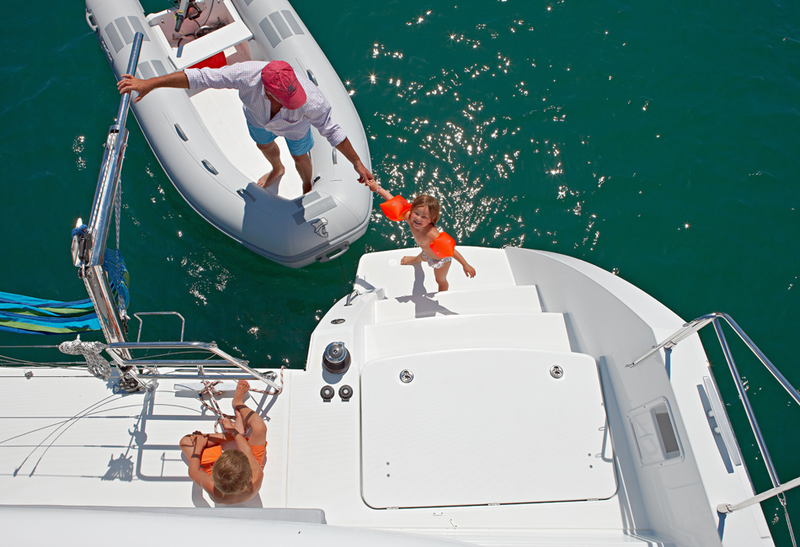 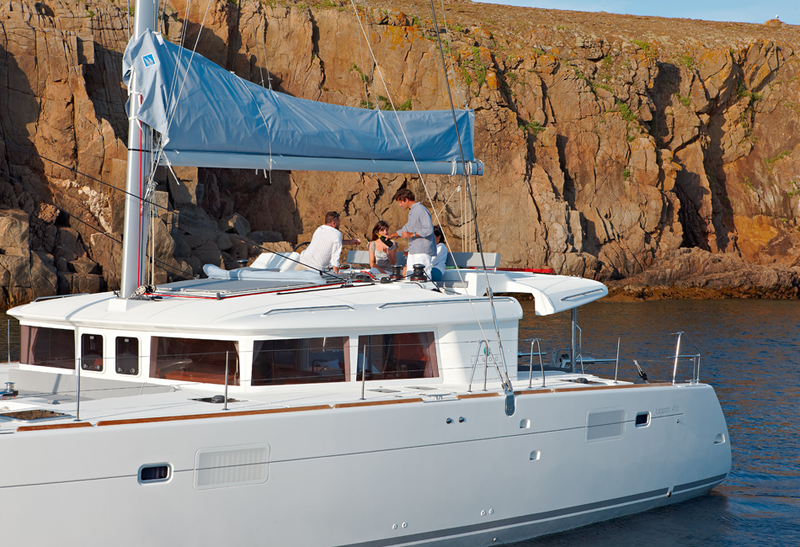 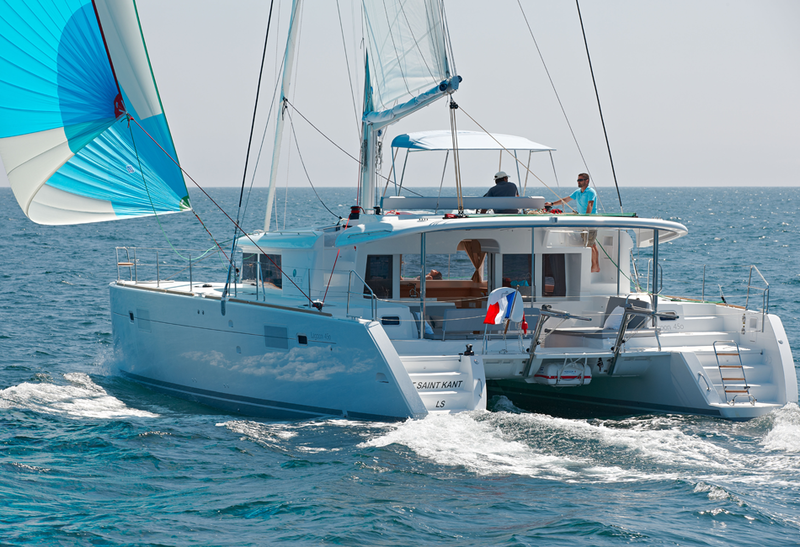 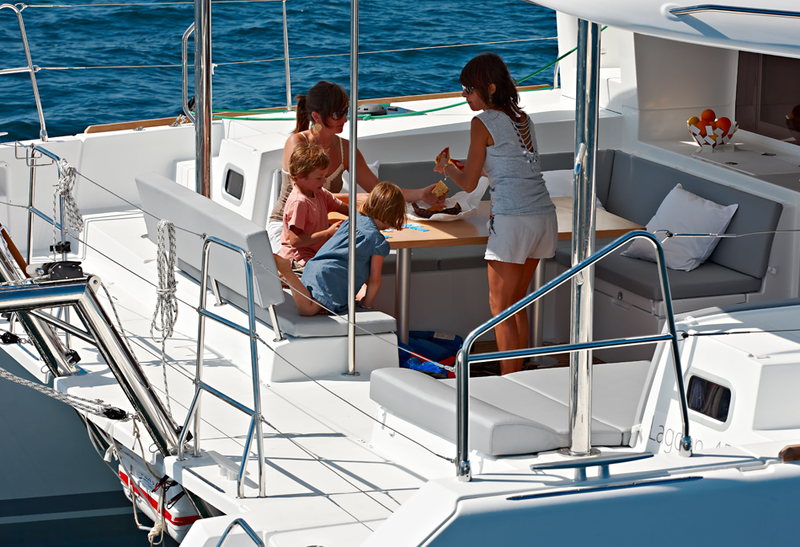 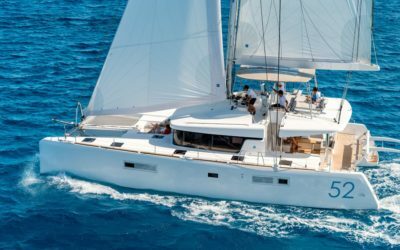 The Lagoon 450 F is built with weight-saving features making her easier and smoother to sail. 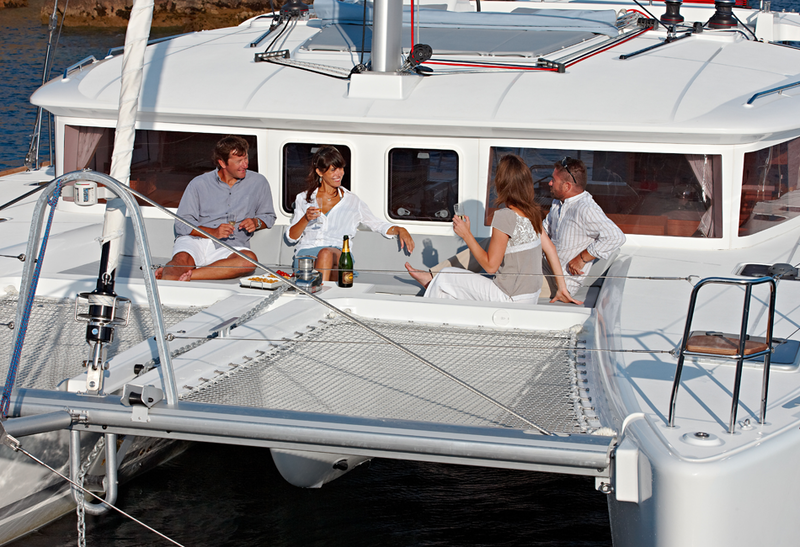 The gull-wing bridge deck offers added comfort when sailing in rough seas. 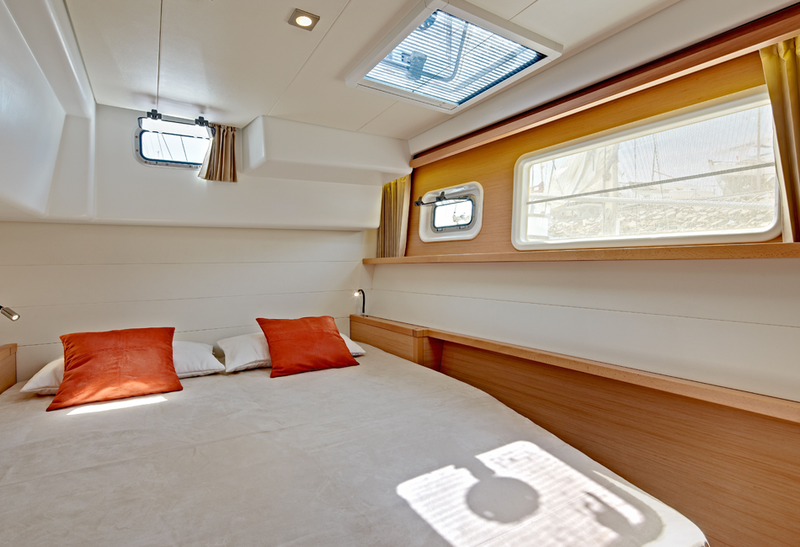 Vertical side glazing provides protection from the sun. 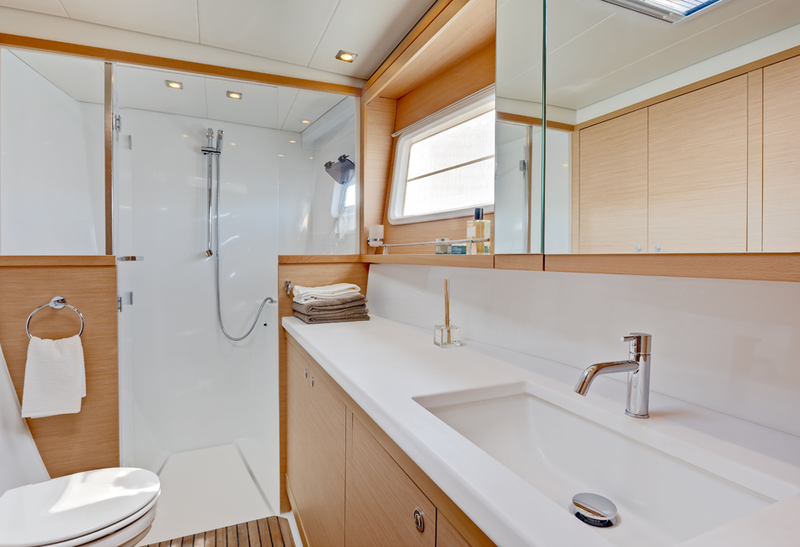 She’s well-lit inside thanks to the large glazed panels. 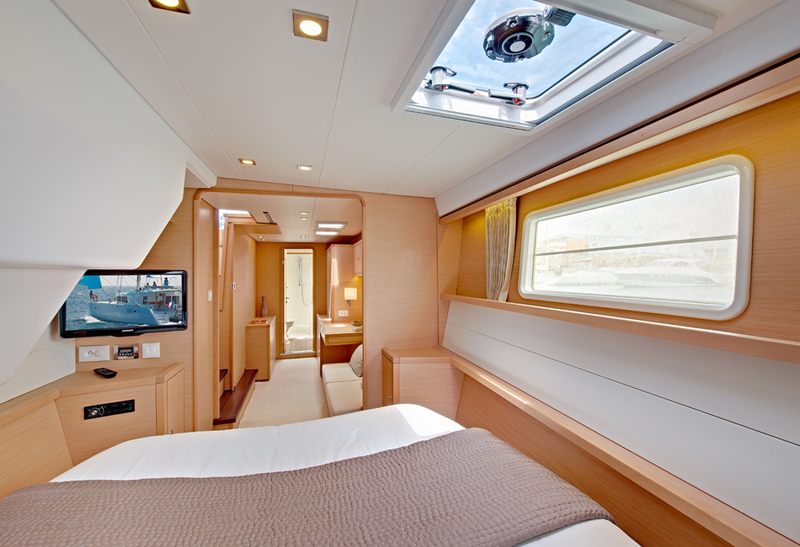 The owner’s cabin is luxurious with guest cabins being equally well-appointed. 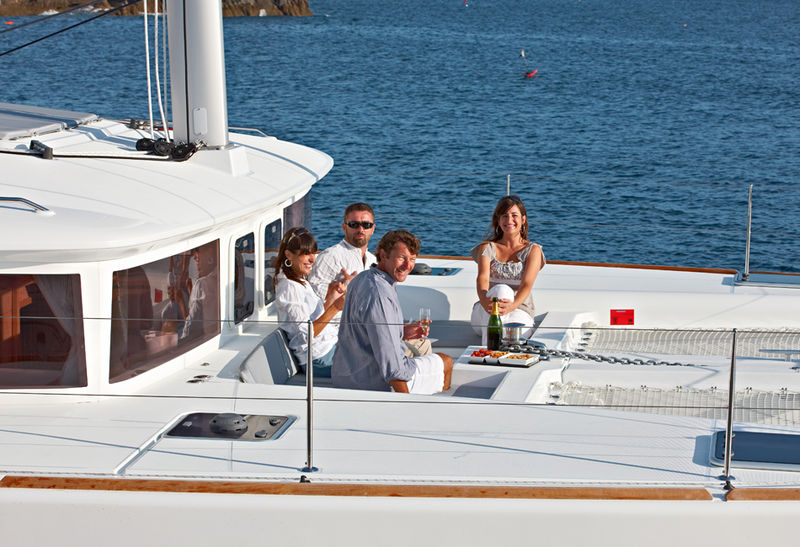 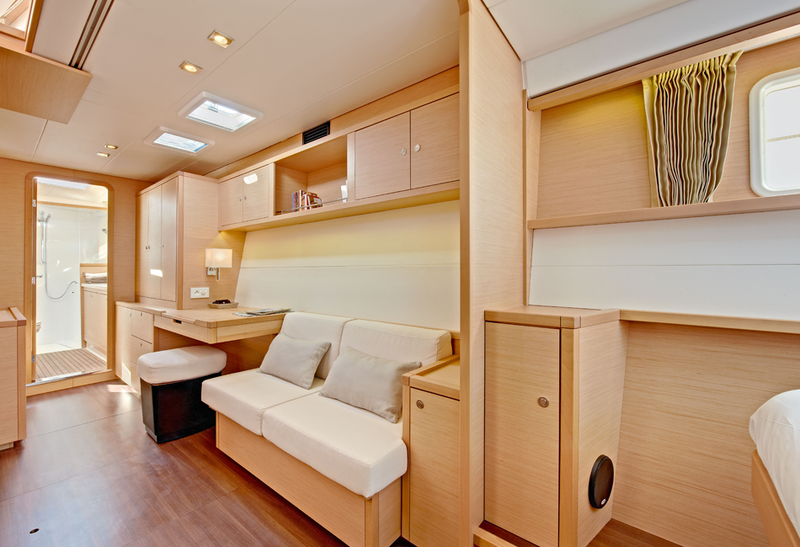 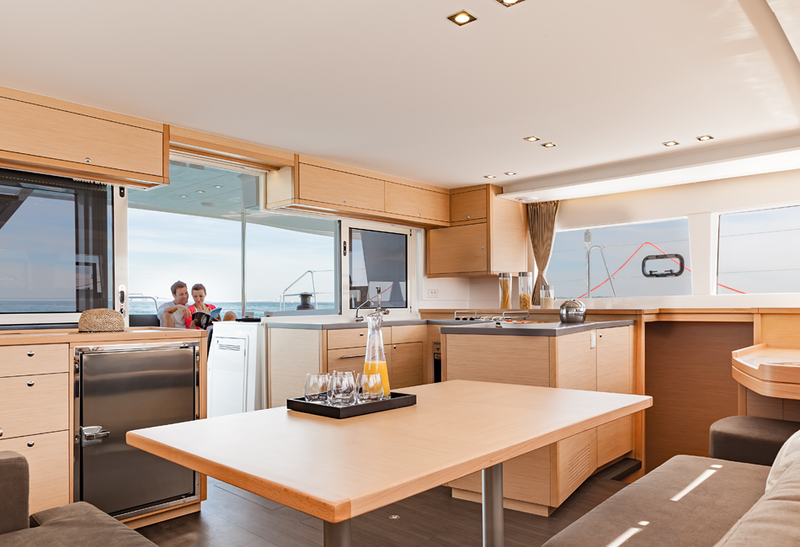 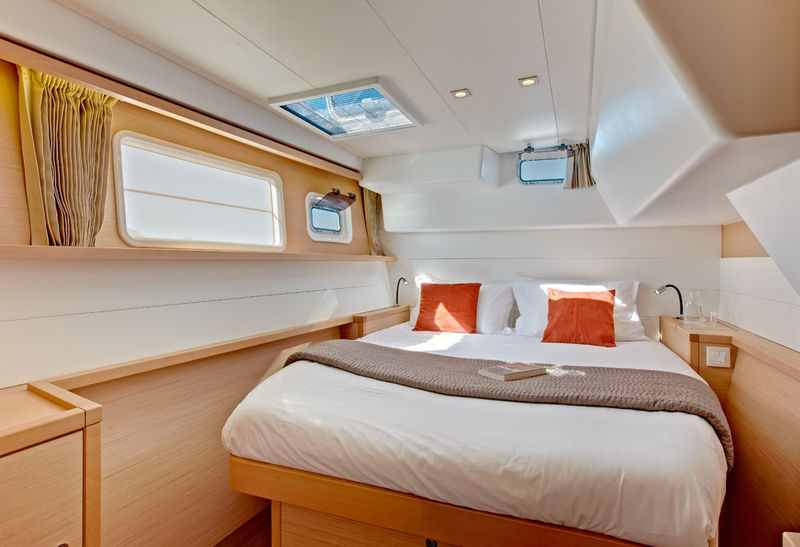 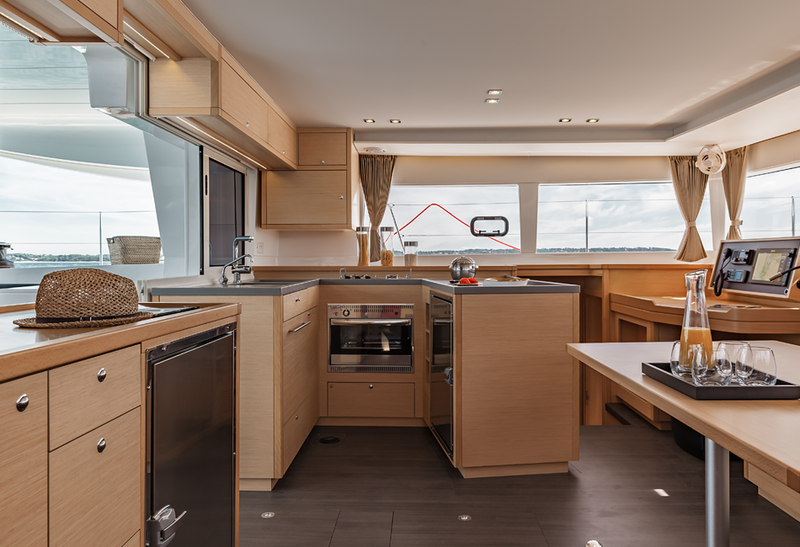 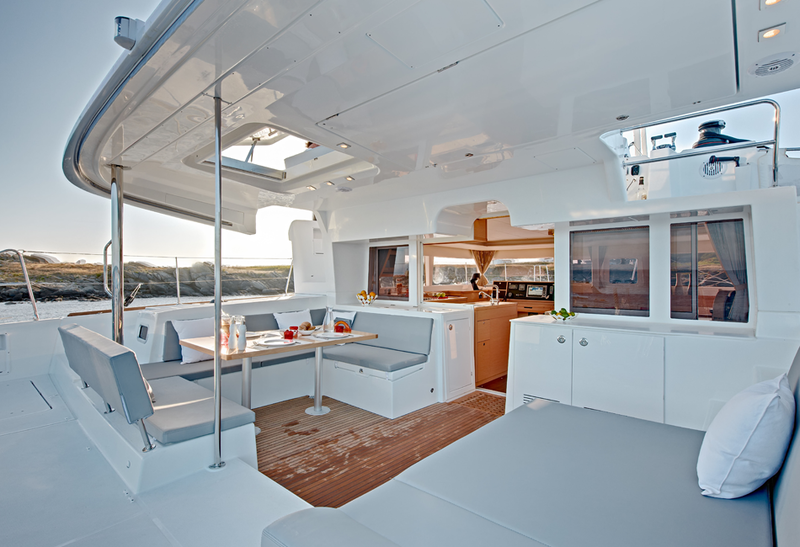 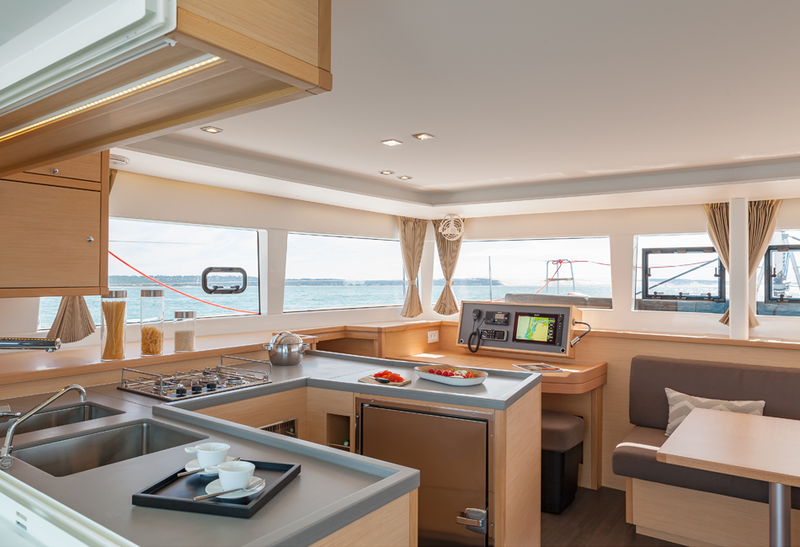 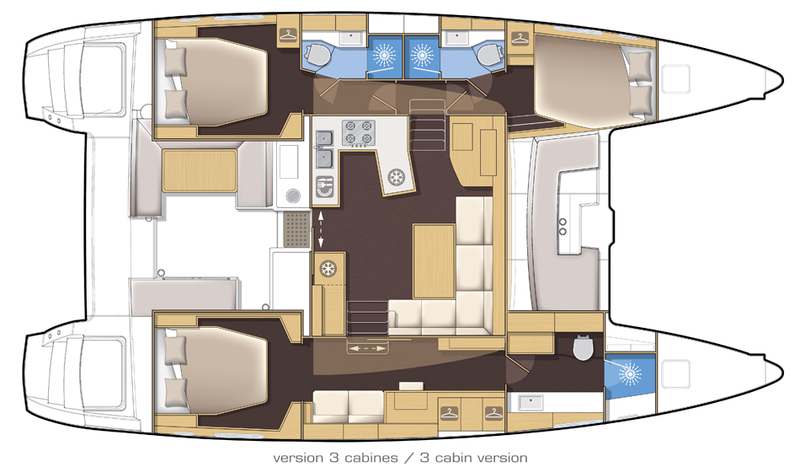 Living areas are perfectly insulated and the U-shaped galley provides comfort at sea.